When we were kids we had dreams of growing up to be anything from an astronaut to a ballerina or a chef to a policeman. One little girl in the UK dreams of being a magician and so far she’s off to an amazing start. 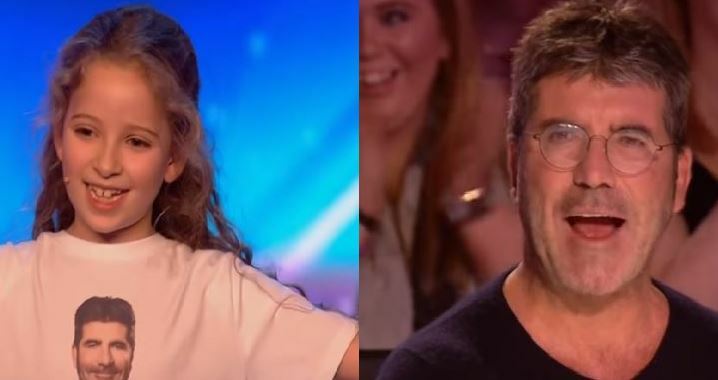 The 8-year-old girl’s name is Issy Simpson but she’s not just any ordinary 4th grader — she has talents that are guaranteed to make you scratch your head and say “huh? !” All because of…magic! The sweet young magician approached the stage on Britain’s Got Talent with her head held high. It’s obvious that she has been practicing her tricks for quite some time because she didn’t seem nervous at all. Her performance starts effortlessly with a trick involving two of Issy’s “favorite things”: magic and reading. How completely adorable is that? It’s becoming more and more clear to everyone in the room just how smart this little girl is. But once the magic tricks start? The judges realize they aren’t dealing with any ordinary little girl. She truly is a magician that can fool even the most skeptical. Her magic performance had the judges scratching their heads. How does she do this?! David Merlin have you seen this little sweetie yet? She was in fact AMAZING and so relaxed in front of an audiance for a child her age!!!!!! Elle est tout simplement incroyable ! It’s a sin to do witchcraft ! Repent for the Kingdom of God is at hand ! Oh I am sure that you could have done better, right! LMBO! This little was great! i look it up on google as i was curious as to how it could be done . How did she do her t-shirt ? She is so cute. An amazing little girl well done. I loved watching her. Magic is of the Devil! !